The perfect choice for refurbishments and new build projects DuoPly™ EPDM roofing system is ideal for virtually any residential, commercial or industrial flat roofing project and contractor. The single ply membrane is a polyester reinforced EPDM flat roofing membrane available to approved distribution partners and their customers. The polyester lining acts as a cushioning layer, specifically designed for use over minor imperfections, splits or ridges that may have formed in the existing roof system. The tough polyester fleece reinforcement on DuoPly provides excellent protection for the roofing membrane even on rough substrates. The polyester layer gives superior wind uplift resistance due to the adhesive/fleece bond. 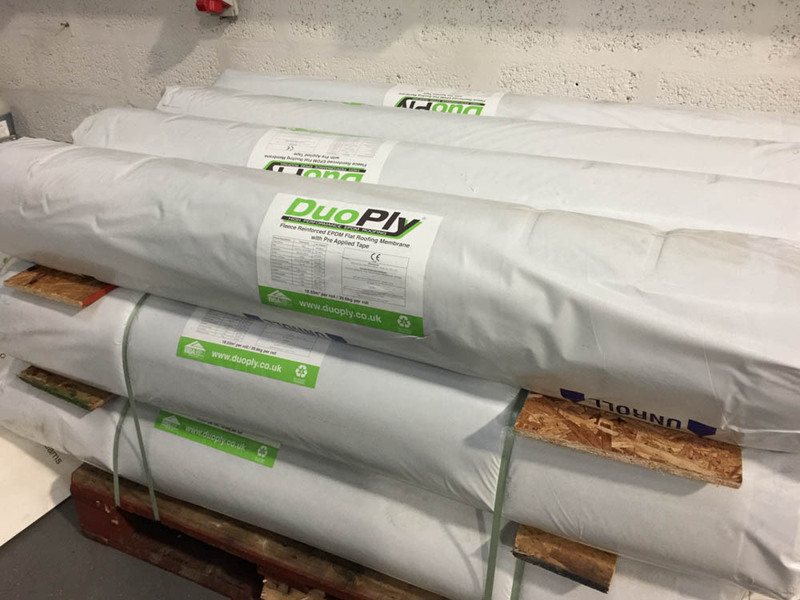 DuoPly membrane is comprised of an EPDM laminated to polyester reinforcement layer. Strength: 180% greater tear resistance and 40% greater puncture resistance than comparable non-reinforced EPDM flat roof membranes.